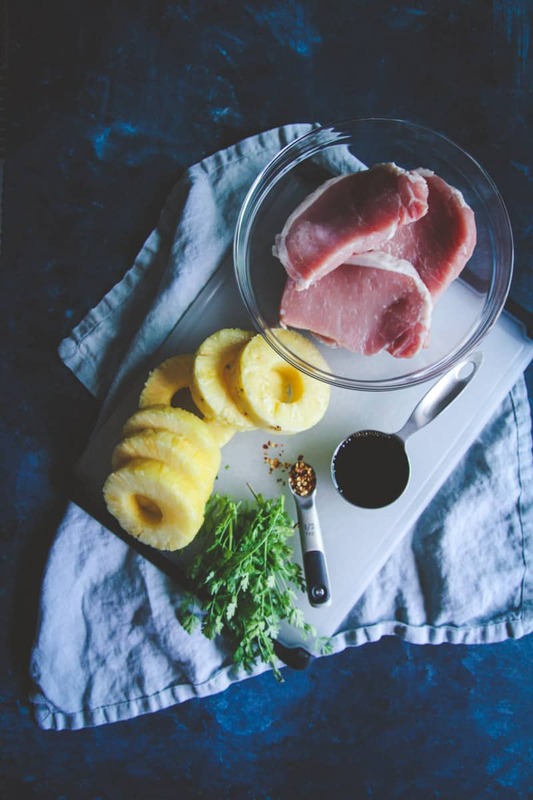 Enjoy these 5 ingredient pineapple pork chops for a delicious savory and sweet dinner any day of the week you’re looking for a fast and easy recipe that everyone is sure to love. I have to tell you that if you were to ask if there’s a meat I don’t cook nearly enough, I’d tell you it’s pork! Especially pork chops. Pork chops are so great for a quick cooking meal, but for some reason I had always passed them up while grocery shopping. Not anymore. Not after making this delicious pineapple pork chops recipe. It’s SO good, so flavorful, and perfect for a quick dinner, and it’s this weeks’ Five Ingredient Friday recipe. 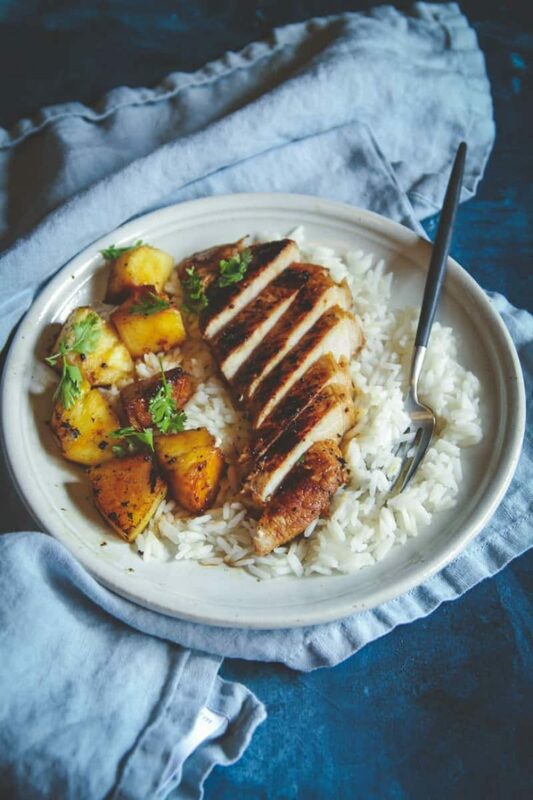 For this recipe all you do in marinate pork chops in soy sauce and red pepper flakes, and then cook it with pineapple and cilantro. It’s fresh and soooo good. One of the first times I made this recipe I put the pork chops in the marinade and put it in the fridge. Life got crazy busy and I only was able to make it two days later. So the pork had been marinating in soy sauce and red pepper flakes for 2 days. The pork was darker in color because of the soy sauce, and when I made it, holy cow was it full of flavor (and heat from the red pepper flakes was great and intensified lol). 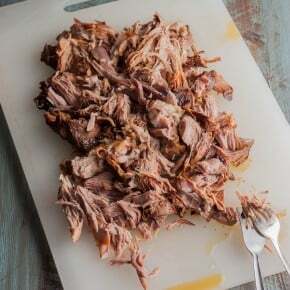 So I’ve made this with both a quick marinade or an overnight one, and it’s great both ways. 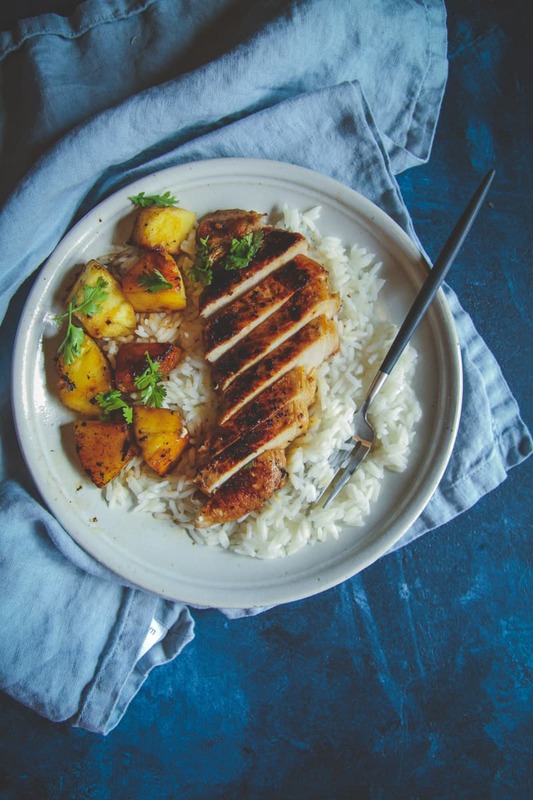 These pineapple pork chops serve really well over rice. 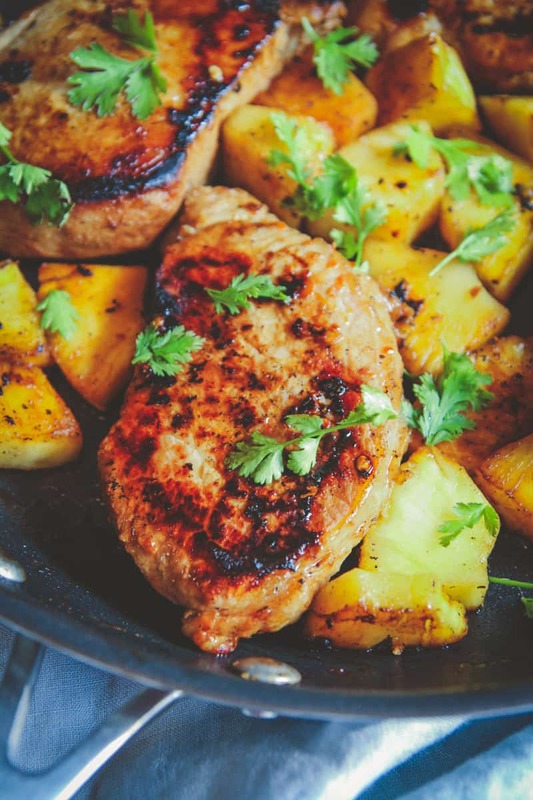 These 5 ingredient pineapple pork chops would also be great if you grilled them. It’s an overall delicious dinner, and I love the sweet/savory/slightly spicy flavor that these pineapple pork chops have. Marinate pork in soy sauce and red pepper flakes for 1/2 an hour, or up to 2 days. Pour off marinade and grill or cook pork in large nonstick skillet. It as to be a nonstick skillet or else you need cooking spray. Cook on high for 4 minutes, then flip and cook for 3 minutes, then add in pineapple pieces and remove from heat. 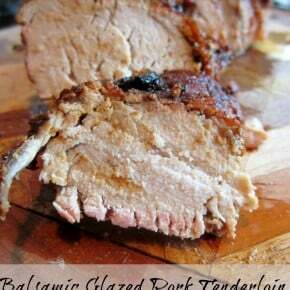 Let sit for 5 min, then sprinkle cilantro over the pork and pineapple, slice pork and enjoy. Awesome dish! 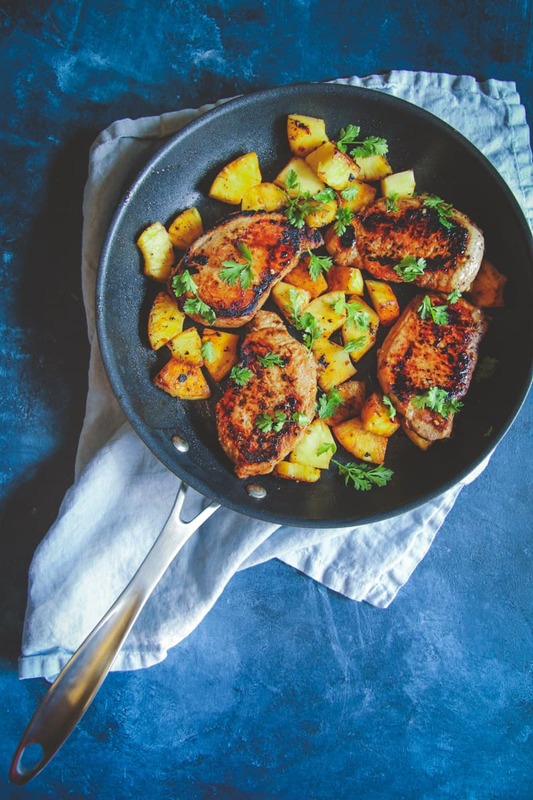 We like the fact that you used these specific pork chops for this recipe, which don’t have a lot of fat and it would pair great with the pineapple. For us here in Greece, this would be “Chinese” food with the soy and the rice LOL:) Our favorite pork cut is the neck, with its steaks having a lot of marbling which helps to keep the meat juicy while grilling, but it would work with this recipe (too fatty). Thank you for the amazing recipe dear! That’s so interesting about the different cuts of pork that are used. I’ve only had pork steaks once in my life and they were delicious – I’ll now be on the lookout for them more! 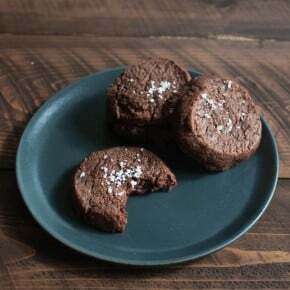 I know I’m late to comment, but to anyone looking for an easy, delicious recipe, this is such a winner. We paired with the frozen rice at Trader Joe’s to really make it quick! I’m sometimes disappointed by 5-ingredient/quick dinner type recipes, but this is great! Thanks, Phi! Awwwww thank you so much Angela, really appreciate you saying that and leaving this feedback!